Want to see the experts at work? Stop by and marvel at the skills of our first class pizza chefs. Toppings or sauces, ice-cream or extras, our pizza artists will help you make the tough decision. They make the pizza, they eat the pizza, they know their stuff! If you're in a rush, you can take advantage of our collection service. 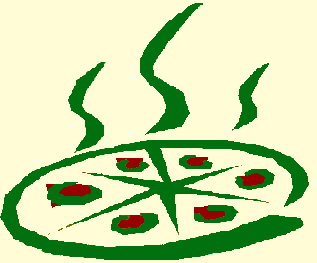 Just call ahead and in twenty minutes your delicious pizza will be ready for you to collect, piping hot, fresh and yummy. The only question is, will you resist munching it before you get home? We, at Pizza the Action, respect the couch potato!! Give us a call and our pizza supremos will whip up a tasty pizza for our knowledgeable local delivery drivers to chauffeur straight to your door. Just sit back, relax and you'll be devouring delectable pizza in no time at all.